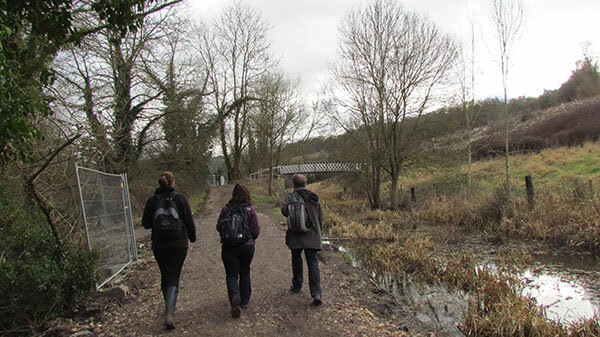 Walkers explore the canal near Jubillee Bridge. Access to Rodborough and Minchinhampton Commons is across the bridge. A view across the valley from the canal. This little bridge was installed to make access to the common easier.